The OYE! 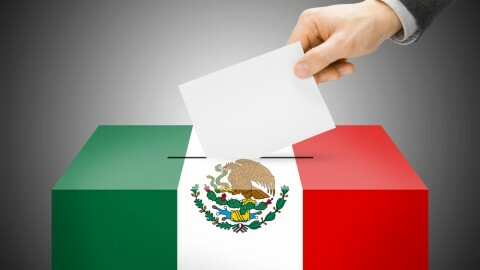 team is proud to welcome you to a new weekly analysis, termed the 2016 Hispanic Political Tracker, we will be providing to keep a pulse on the Latino vote from now up until the presidential elections in November. We will add new sections in future weeks, as well as expand hashtags searched to increase the volume of mentions. 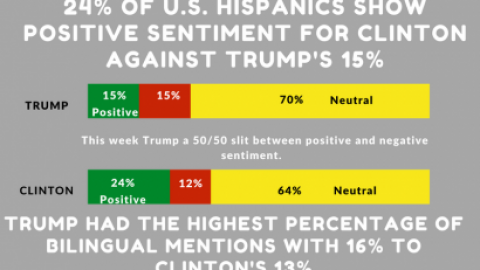 The current weekly trend on gender, language, sentiment, and share of voice among U.S. Hispanics discussing the presidential candidates will be reported on an ongoing basis. 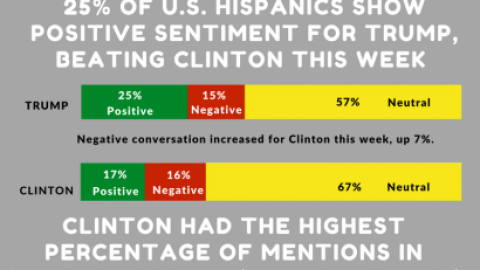 On Instagram this week we see that conversation among Hispanics about the two candidates was dominated by Donald Trump (97%) at the expense of Hillary Clinton (3%). Interestingly, Trump had 13% more Hispanic male conversations (69% compared to 56% for Clinton). 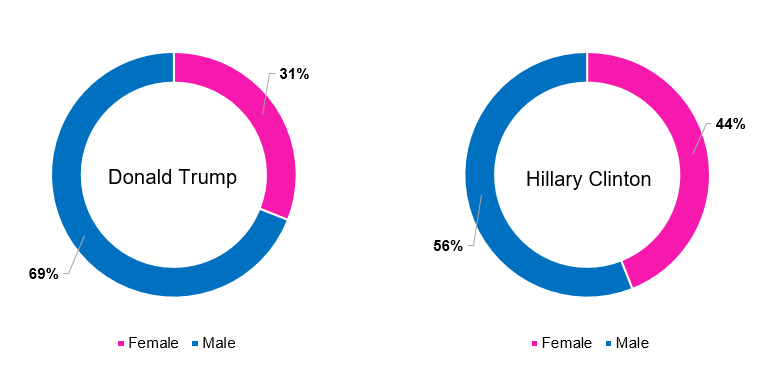 Conversely, Clinton led female conversation at 13 percentage points higher than Trump. 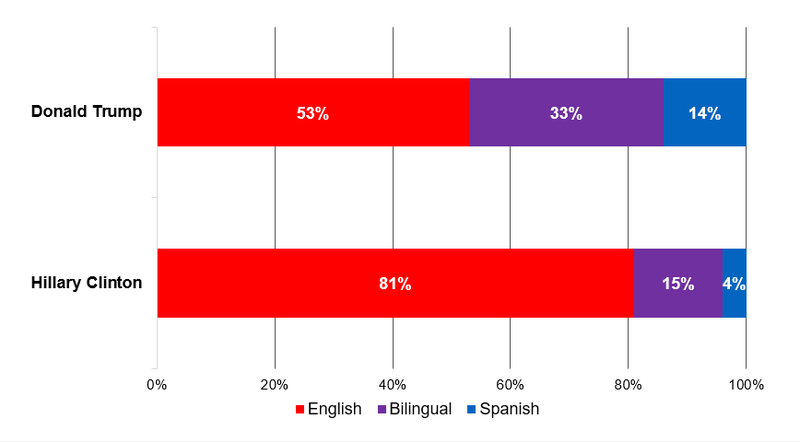 In terms of language choice, Clinton mentions trended heavily towards English (81%) while Trump mentions were more evenly split, 53% in English and 47% in either Spanish or Spanglish. 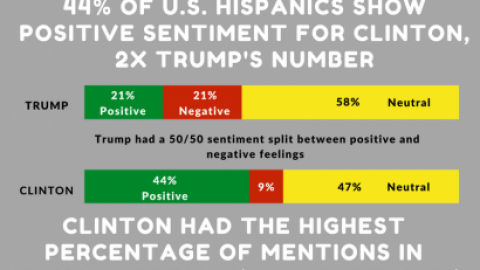 Trump also held a significant lead in negative sentiment (25% versus Clinton’s 4%). 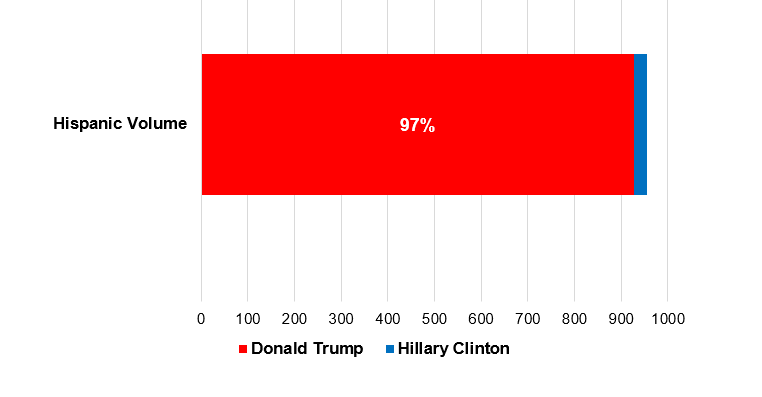 Clinton had the largest quantity of neutral sentiment at 74%. Stay tuned for the next OYE! Hispanic Political Tracker which will be published on Wednesday, September 14, 2016. 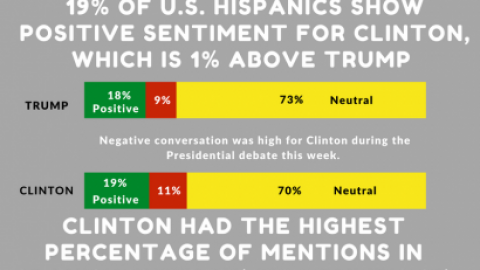 This analysis is based on a small sample of 1,100 U.S. Hispanic conversations in which one candidate was mentioned exclusively. OYE! 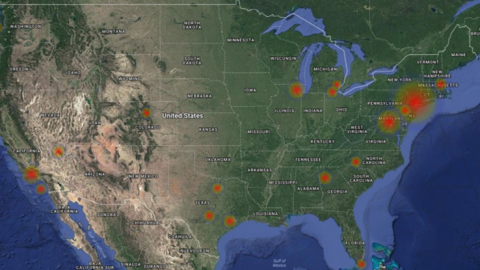 analyzed hashtags, ‘Trump2016’ and ‘Clinton2016’ The data was gathered from Instagram between August 29th, 2016 – September 4th, 2016.